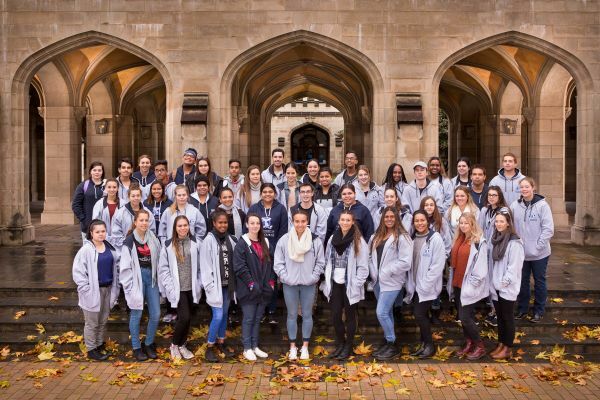 The students participated in a three-day, on-campus program that started out with a Welcome to Wurundjeri Country from Aunty Diane Kerr, followed by presentations about university pathways, entry requirements, scholarships, information on the Bachelors of Arts and Science (Extended), as well as an introduction to Engineering, Information Technology (including robotics), and science and arts more broadly. The students toured the Wilin Centre at the Victorian College of the Arts, the Melbourne School of Design, the Walter and Eliza Hall Institute, Bunjilaka Exhibition at Museum Victoria, and also spent some time exploring the city. The final component of the camp was the Indigenous Leadership, Excellence and Achievement Program (I-LEAP) where the students explored leadership styles, what it means to be a leader and what it means to be Aboriginal and Torres Strait Islander leaders. “Aspiration levels were high and almost every student has confirmed their plans to continue on into university,” said Indigenous student outreach officer for Murrup Barak Lauren Arabena. Murrup Barak offers thanks all staff across the University who contributed to the success of the program.